Heat Detectors respond to excessively high temperatures in the protected area, which are presumed to be the result of a fire in the area. Various techniques are used to distinguish between fire produced heat and heat increases due to expected conditions in the area. 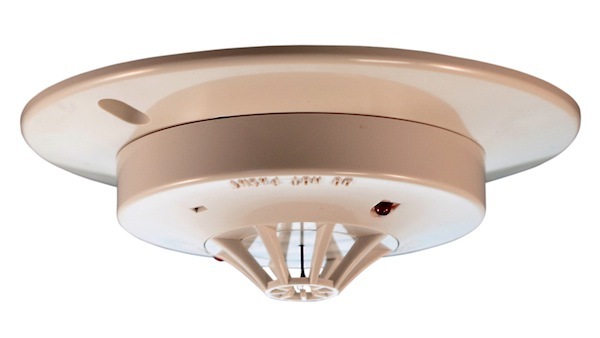 Flame or Smoke detectors will usually respond to a fire faster than heat detectors. But non-electronic styles of heat detectors (Our Model T300) are considered to be the most reliable fire reporting device, and are therefore often used as backups for the other fire detectors. LHS Linear Heat Sensor cable is a flexible,durable and cost-effective fixed-temperature detector that is suitable for protecting a wide range of commercial and industrial environments. LHS Cable comes in a variety of cable jackets and operating temperatures allowing you to select the perfect cable-type for a particular job. 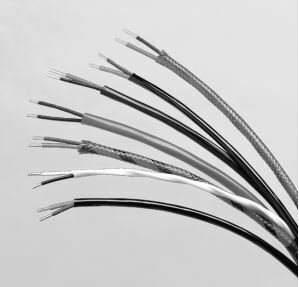 The LHS Cable detects heat from a fire over its entire length and it can be connected directly into the fire panel initiating circuit, eliminating the need for extra, costly equipment. The LHS Cable is FM Approved and being a contact shorting device, is compatible with all fire control panels. T300 Fixed Temperature Rate Compensated Heat Detector has been the industry standard for over 25 years. Use to detect over-temperature conditions produced by fires. This item is explosion proof for use in hazardous locations, and features all-metal construction. 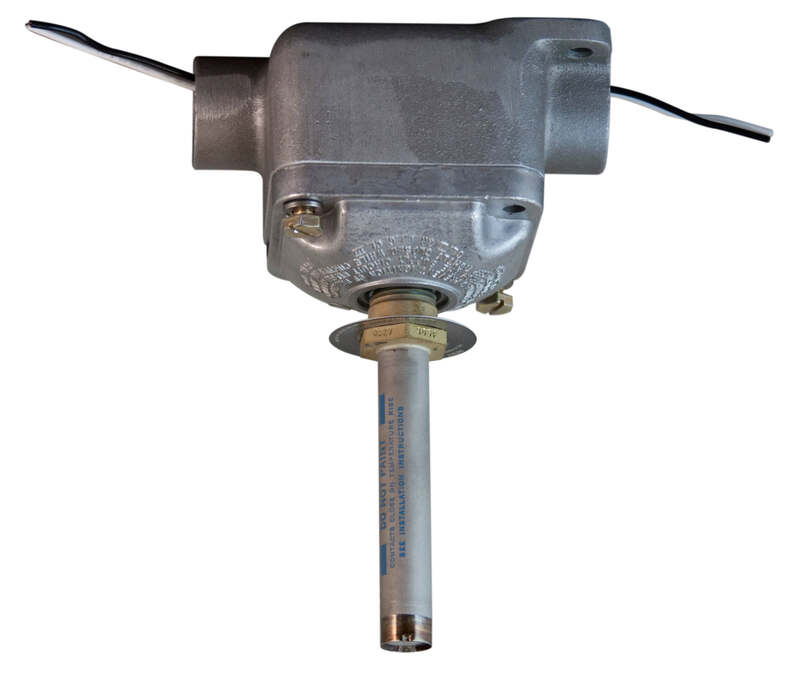 Available in wide range of temperature settings from 140°F/60°C up to 725°F/385°C. T301 Fixed Temperature Rate Compensated Heat Detector with Normally Closed Contact Type has been the industry standard for over 25 years. Use to detect over-temperature conditions produced by fires. This item is explosion proof for use in hazardous locations, and features all-metal construction. Use in any locations requiring a fail-safe alarm circuit. Available in wide range of temperature settings from 140°F/60°C up to 450°F/232°C. The Fenwal Models THD-7052 and THD-7053 are thermistor-based electronic Heat Detectors with a 135°F (57°C) Fixed Temperature set point. In addition, the Model THD-7052 has a Rate-Of-Rise of temperature detection feature rated at 15°F (8.3°C) per minute. Both detectors have advanced solid-state, low-voltage, surface-mount circuitry and are designed for 2-Wire and 4-Wire installation using the appropriate Detector base. 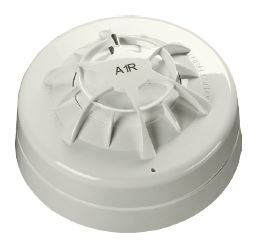 T302IS Intrinsically Safe Rate of Rise Heat Detector is also useable in hazardous locations. Circuit power levels are limited so the potential to ignite an explosive atmosphere is eliminated. Esthetically pleasing plastic construction is suitable for offices, sleeping rooms, and display areas. Also allows installation without using metal conduits for the wiring. 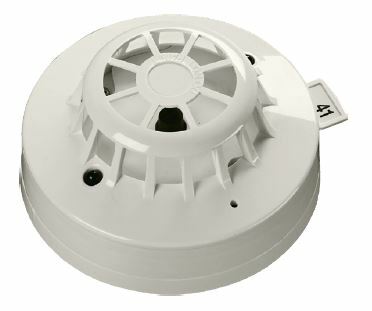 Discovery Marine Heat Detectors have a common profile with ionisation and optical smoke detectors but have a low air flow resistance case made of self-extinguishing white polycarbonate.